Reykjavík has an impressive number of quality restaurants, staffed with award winning chefs that create both imaginative and delicious cuisine. We recommend visitors try out the Icelandic cuisine; but be sure to try out the fabulous Icelandic coffee, beer, hotdog and pizza too! 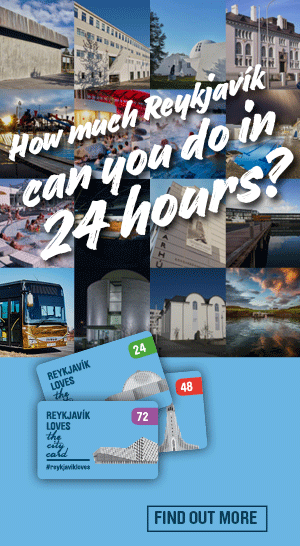 Reykjavík City Card holders receive discounts at several of these dining establishments in the capital. Compiled below are various restaurants and cafés located in or near the city centre. 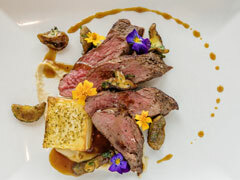 AALTO Bistro is run by the renowned chef Sveinn Kjartansson, which has been showing viewers of Icelandic television how to make the most of the country’s natural food sources, especially its impressive range of seafood. Bombay Bazaar is an Indian restaurant in Ármúli. It offers unique quality dishes from Mumbai where everything is made from scratch with fresh, quality ingredients. Mexican restaurant with variety of vegan dishes. Everything is made from scratch. Unique and pioneering street food hall with nine traders under the same roof located by the old harbour. Come explore the taste of it! Speciality cafe, local eatery and a bar with an art gallery and a hostel in the same building. KRYDD restaurant emphasizes a cool and varied menu, great cocktails, a good selection of beers on tap and a pleasant atmosphere. Local's goal is to offer healthy and fresh fast food at a reasonable price. We place great emphasis on shooting and quality service and offer top quality ingredients every day. Healthy food in a new restaurant on the outskirts of the city! A health store and espresso bar in downtown Reykjavík, a unique space that has it all. Bergsson mathús serves healthy and delicious soul food, all day long. Famous Illy coffee, delicious homemade cakes, breakfast and lunch available all day. Healthy and hearty fast food only with fresh ingredients. You you can choose a bowl from the menu or choose for yourself. Gló takes pride in always using the freshest of ingredients and buying as much as possible from Icelandic farmers. Kaffi Vinyl is a new bar /café and record shop located in the newly renovated Hverfisgata, parallel to main shopping street Laugavegur. Our ambition is to have fresh, varied and well-stocked ingredients, all the food we serve is cooked from scratch. Saffran offers healthy, fresh, exotic, international dishes to spice up your body and soul. On a budget, but want to eat like a king? 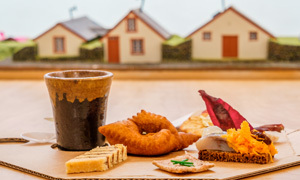 Here's our editors suggestions for cheap, tasty bites in Reykjavík. A delightful café located within the Botanical Gardens. GOTT is a healthy, creative family owned restaurant in Vestmannaeyjar and Reykjavík, with fresh authentic ingredients. Icelandic Fish & Chips opened in the winter of 2006, intent on providing fresh and healthy food made with the best available Icelandic ingredients. Delicious vegetarian and chicken dishes and the world´s best soups. Pho Vietnamese restaurant specializes in Asian cooking, with a combination of great chefs, top products and recipes which have followed them for centuries. Buffet-style restaurant with 50 different healthy and tasty low-fat dishes at a reasonable price.